March 14 is known around the world as "Pi Day." "Pi" is something you may remember from math class. It is the number that results when the distance around a circle is divided by the distance across the circle. It is a very important number in geometry as well as for fields like construction and architecture. Pi is an irrational number. It never ends. But the way it begins is always this: 3.14159. The date March 14, as we write it in the United States, is 3-14. American physicist Larry Shaw started Pi Day back in 1988. The hashtag #PiDay was the top trending topic on Twitter Tuesday. Pi Day is not just for those who enjoy numbers. 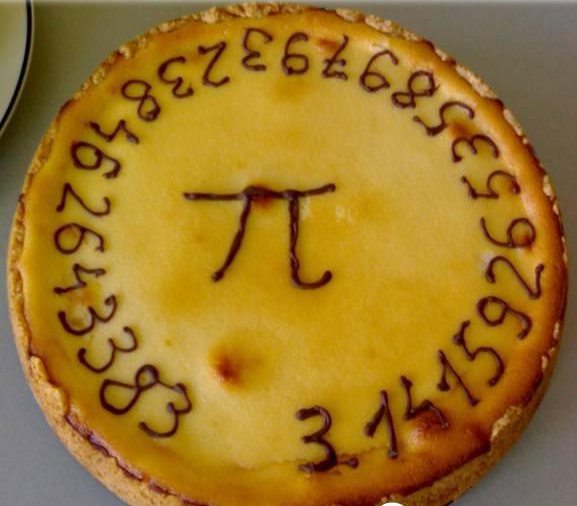 Many people mark the math-inspired holiday by celebrating "pie," -- p-i-e, instead of "Pi." Pie is a popular dessert in the United States. It is made with a crust on the outside and usually a sweet filling in the middle. Apple pie, pecan pie, and cherry pie are among the best known. Pizza is another kind of pie. It is made with a crust, tomato sauce, cheese and other toppings. One pizza restaurant is celebrating Pi Day in a big way. The restaurant &pizza is letting customers get married at its locations in several East Coast cities. While Pi Day is usually a light-hearted event, thousands of technology workers in California's Silicon Valley are marking it in a more serious way this year. They are walking out of their workplaces at Apple, Facebook and Google to protest U.S. President Donald Trump's policies on immigration. Among those policies is Trump's travel ban, which blocks the approval of U.S. visas to citizens of six Muslim-majority countries and bars refugees from entering the country. Top executives and workers in Silicon Valley have been sharply critical of the ban. Many technology companies there were started by immigrants or children of immigrants. This kind of problem frequently crops up. Zhongguancun district in Beijing is china's silicon valley. Until his finances are in the black I don't want to get married. The farmers will be paid for their grain in cash, instead of IOUs. 1.It is a very important number in geometry as well as for fields like construction and architecture. 2.They are walking out of their workplaces at Apple, Facebook and Google to protest U.S. President Donald Trump's policies on immigration. The rabbi happened to be walking out of the synagogue with his wife. One of the children in the parade was walking out of step with all the others.